Star Wars Collectible ARTFX+ Statues bring you all of the quality and detailing that you expect from an ARTFX release in a great smaller scale perfect for collecting! The series has already brought you amazing heroes, villains, and troopers from the classic trilogy and beyond, and now you can collect the bounty hunters summoned by Darth Vader to track down the Millennium Falcon in Star Wars Episode V: The Empire Strikes Back. 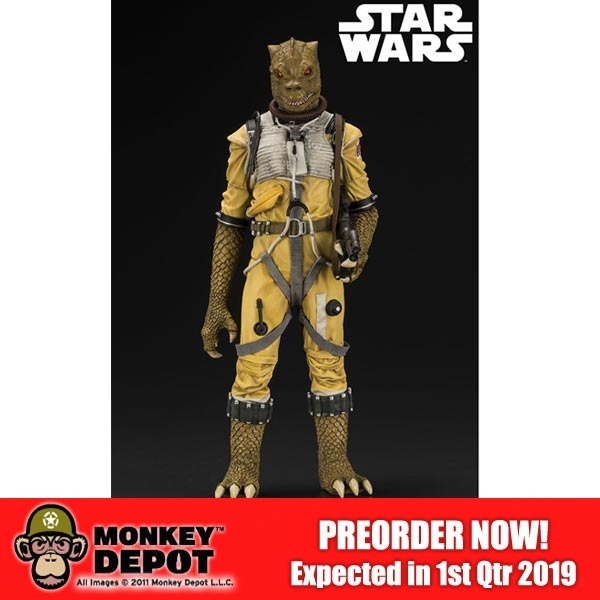 Following Zuckuss in the Bounty Hunter line is fan‐favorite Bossk! 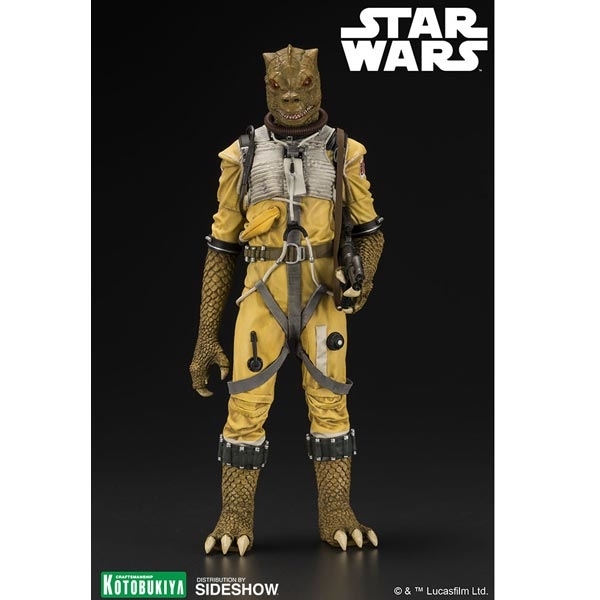 A Trandoshan with strong hunting instincts, Bossk is feared throughout the galaxy as a strong and ruthless bounty hunter. ARTFX+ Statues are fun‐to‐assemble pre‐painted snap‐fit kits that can be put together easily in seconds without glue or modeling skill. 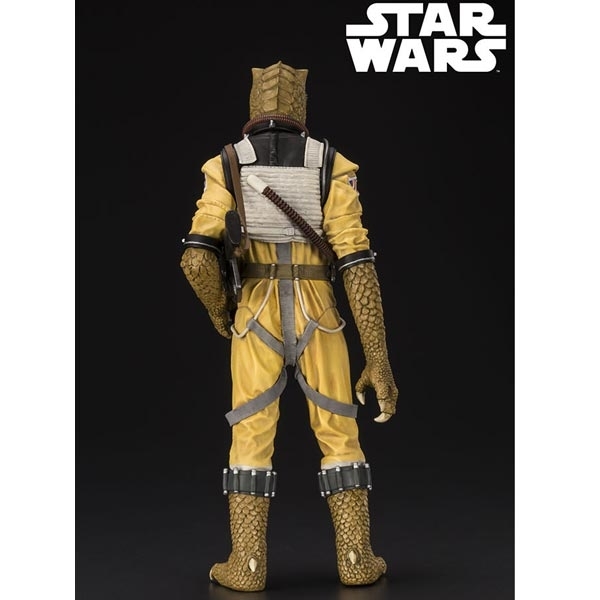 The magnets in Bossk’s feet provide perfect stability on the included metal display base.